In the middle of the night, our unexpressed hopes, needs and fears can possess us, and there are times when all of us lie awake in the dark, feeling vulnerable and alone. 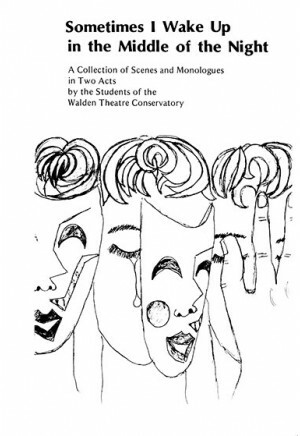 The young playwrights from the Walden Theatre Conservatory have explored these profoundly felt emotions and have written, in response, an extraordinarily insightful collection of scenes and monologues that together make up a full evening of theatre. 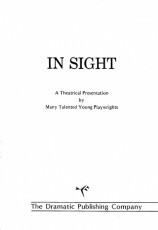 The pieces that comprise this play are funny, sad, disturbing, real; they are the honest and forthright expressions of "today." 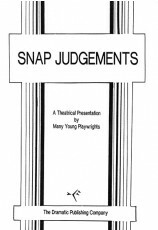 The play focuses on subjects that range from the lighthearted anxieties of teenage love to the pain and loss of divorce or suicide. 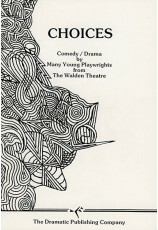 The experiences of youth, with all the exuberance and all the pain, provide an opportunity for young actors and their audience to examine their own wants and needs and to gain understanding of the wants and dreams of others. 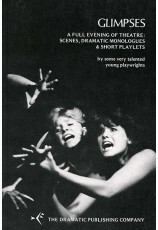 Please note that this play has some strong language which may be deleted. "What a great high school ensemble show! After our performance, three other schools called to ask who carried the title. Teenagers love this show. Its simplicity is great for schools with little financial support." "A poignant look at the trials, tribulations and triumphs of growing up! A great ensemble piece." 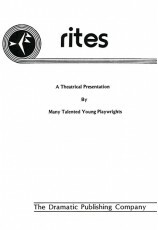 "It was very well suited to young actors who did not have a lot of stage experience. It allowed them to just "be themselves" and look really impressive doing it!" Review by Anita Livingston, Chesapeake College, Wye Mills, Md.